elrow is back in London on the 28th December 2018 at Studio 338 (Greenwich) for the long-awaited elrow Chinese Row Year. 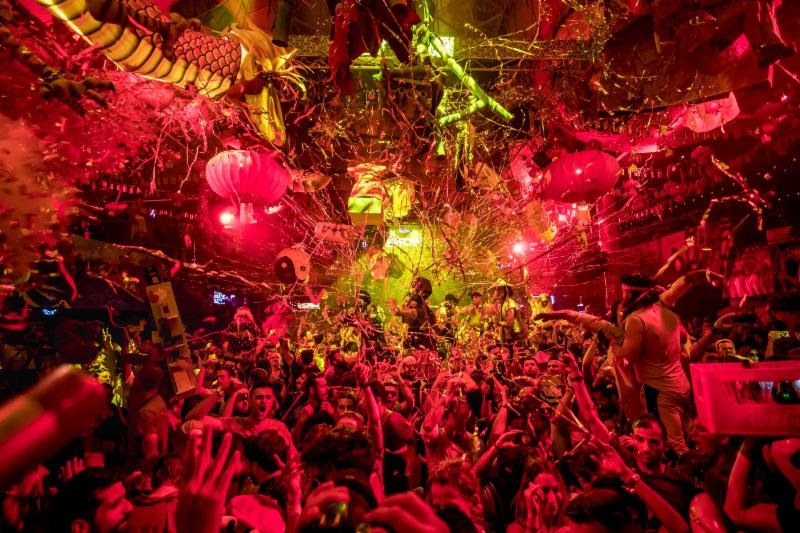 In fitting style, the festive party theme will be the UK debut of Chinese Row Year, the theme that launched their Ibiza season at Amnesia earlier this year. A kaleidoscopic journey of Eastern wonder, where the beautiful red lantern festival meanders past the Emperor’s grand temple and Chinese dragons weave through the throngs of the elrow party goers. A parade of joy and unity, the opportunity to sign off 2018 and welcome in Chinese Row Year, in immersive elrow style, should not be missed.